Superdry men’s Scuba Slopestyle hooded Fuji jacket. This mountain inspired jacket is perfect for the slopes this season, featuring a removable hood, an inner padded collar and single layer zip fastening. There are four front zip pockets, one zip pocket on the sleeve, one inner zip pocket and thumbholes on the inner lining of the cuffs. 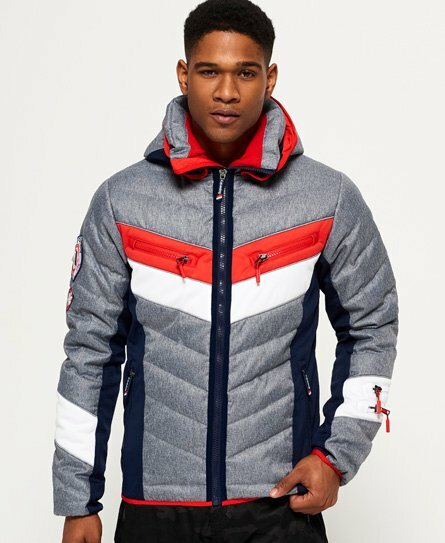 This jacket is finished off with a snow skirt, reflective detailing on the front padded seams and a Superdry mountain logo badge on the sleeve.